Learn what the current trends are and what you can do to meet new demands. The music industry is a living, breathing organism and it is fickle! Research what the top players in the industry are doing and ensure that you remain competitive. Read articles, watch videos, subscribe to magazines… do what you have to do to stay relevant. Keep up! Some people have too much pride. There’s no shame in asking others for guidance. This is how some of the most successful people in the world have achieved success. Having the courage to ask for help, could save you tons of time. Ask somebody who’s been there and done that. The worst that can happen is they tell you to get lost. But most of the time, they are glad to share their knowledge and expertise. Try it out! As technology makes music production (and pretty much everything) more accessible to the average person, we are seeing a massive surge in the number of bands and artists out there. The problem is a lot of these “artists” aren’t true artists. They’ll be gone in a flash. One easy thing you can do to separate yourself from the crowds is to just love what you do. If you love it and you’re passionate about it, it will come through in your art and others will take notice. It’s simple! This should be a no-brainer. Look around you… Are your friends and peers successful? This is one of the most commonly overlooked pieces of advice. Take a note from highly successful entrepreneurs, actors, and rock stars by surrounding yourself with people that are successful. Cut out the negative, pessimistic people from your life who will only drag you down and surround yourself with positive, optimistic people who are actually working towards their goals. Success is contagious! It’s easy to want to seek advice from people who have been unusually successful. It just makes sense. But remember, the best kind of advice comes from people who have failed miserably and are aware of their mistakes and what they did wrong. They will have more to teach about what NOT to do and the processes and obstacles involved with reaching your goals and finding success. Beware! Success doesn’t happen overnight. Most of the time, musicians and artists never make it because they gave up too early. Some of the biggest artists in the industry were struggling in a van for years before they struck it big. You have to stick with it and truly believe in what you are doing. Never let anything get in your way or stop you. Go for it! You can’t do it all yourself. You’ll need to put together a team of people who can help you. This may take some time, but every successful band has an entire team behind what they do. From booking, to management, to press and marketing… Build a great team of people to take over some of these duties so you can focus on what you truly love to do. Make music! Treat your band like a business. You have a name. You’re selling merchandise. You’re selling your music. Like it or not, your band is a business. Most musicians know nothing about business and it ends up hurting them immensely. People come along and take advantage of them or they make poor business decisions because they simply don’t know anything. And whether you view your band as a business or not, the government surely does. It’s important to obtain a business license (which is simple to do) and protect yourself. It can prevent other bands from using your name and provides a million other benefits you may not be aware of. This will also allow you to obtain a Tax ID Number. The more successful you become, the more responsible you must become for your actions. It will help you in the long run to just learn this stuff now. Otherwise Uncle Sam could come after you once you start selling a lot of albums and merch. In reality, everything you do as a band should be documented. Most bands aren’t even aware of the fact that pretty much everything they spend money on – band equipment, promotional materials, flyers, travel and touring expenses, insurance, gas, hotels, and even food – is all tax deductible! Learn it! It’s expensive being a musician. EVERYTHING costs money. Incorporate your brand, so you can receive tax breaks and manage your expenses properly. It can help protect you as an individual and can be majorly beneficial to your positive financial growth. It may seem difficult, but it’s way easier than you think. There are a ton of resources and websites out there to help you out. Incorporating will establish your band as a separate legal entity and you and your bandmates will not be held personally liable for the band’s debts. There are many other benefits as well. Do it! Know your rights, get registered. Most musicians and artists have no idea what copyright laws are and how they work. Protecting your art from theft is easy! And if you’re recording and writing your own music then you will want to have a clear understanding of what Performing Rights Societies are and how they collect money for you. I’m sure a lot of you have heard of BMI and ASCAP, but aren’t sure what they even do. Find out! And be sure to only register for ONE of them. These entities monitor your works, such as when your song is played on the radio or on TV or in a film, and they make sure you get paid for it! Another popular one is SoundExchange, similar but not the same as the others. Registering is easy and fast. Do some research! I see a lot of bands out there with horrible logos, horrible album covers, horrible websites. A lot of bands actually think that if they have to pay money for something, then it’s a “rip off”. This is a dangerous mentality. As with any business, it costs money to make money. Most bands just don’t want to spend the money. But these things can make or break your band. It’s all about first impressions. Whether it’s a fan or a record label, you want to make the best first impression you possibly can. If you’re not willing to spend the money to improve your image and look, then at least invest time in learning how to do it yourself. Look better! These days, most of us are already on top of this one. Everyone is a social media expert! But some bands and artists need to be reminded to engage with their fans and represent their brand effectively. Not every single thing has to be selling to your audience or about your music. Be sure to post about other things as well, such as your favorite artists or things you love as an artist, etc. People love behind the scenes and getting insight into your lives. It makes a difference! What good are you to your fans if you’re dead? Eat healthy and exercise regularly. It will help your endurance, performing live shows and moving around on stage effectively without tiring out. It will also keep you around longer, so you can create more art. Duh! This is a big one that a lot of bands miss. It’s a huge opportunity that every band should be taking advantage of. As thousands of posts scroll past in your news feed on your favorite social media platform, it’s easy to see how something could get lost or be missed by your fans. An email is delivered directly to the “customer”, waiting for them to open. Direct email marketing is one of the biggest things you can utilize to grow your business. 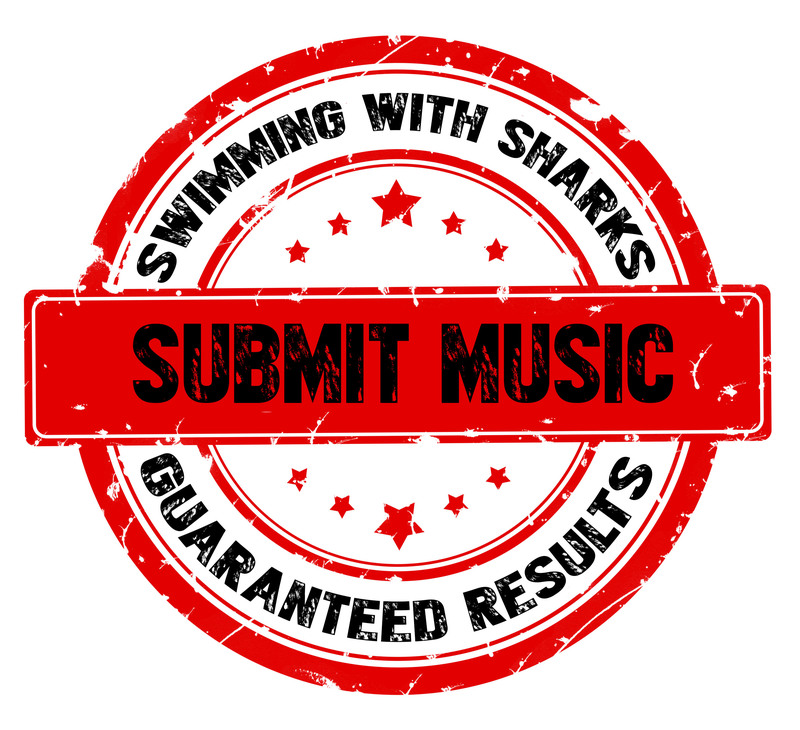 Offer a free song to your audience, in exchange for their email address. Or put out an email sign up sheet at your merch table and start building your email list. This will allow you to update fans on what’s new with the band and offer them new products as they become available. If somebody gives you their email address, they are asking you to contact them. Don’t miss out! They say, “The devil is in the detail.” It’s true. I see so many bands with terrible bios and info sections of their websites. And most of this is due to just not proofreading and going over your work. Check, double-check, and recheck everything. If you send an email to a manager or record label that is riddled with spelling errors and grammatical errors, chances are they won’t take you seriously. It’s literally the lowest common denominator of being successful. Details! Many musicians and artists believe they are god’s gift to music and/or art. They think they’re already good enough and they don’t need to improve. This is a dangerous way of thinking and can land you in a “rut”. Progress is an important part of the journey. Take pride in honing your craft. Get better! Artists and musicians can have a very egotistical view of their music and career after they receive even a little success. They become cocky and disrespectful and begin making unusual requests of labels, venues, and members of their team. You’ve heard of the term “diva”? Nothing good can come out of this. It usually results in having a horrible reputation. Word will get around quick and people won’t want to work with you. Don’t be that guy or gal! Up and coming musicians need your help, advice, wisdom, and support. Teach, mentor, donate to good causes… do whatever you can to give back to the music community. There is nothing more satisfying or rewarding than watching another artist or musician flourish from what you have shown them or taught them. If you are experiencing success, donate to a cause that provides opportunities to other people less fortunate than you. There are a lot of organizations and charities out there that provide instruments and music lessons for kids who can’t afford it, and that’s just one example. There are many ways to give back. It’s important! Of course there are millions of ways to become successful, but hopefully these tips helped you along in your journey to excellence! Think better, live better, do better, be better! Next Making Waves Magazine Volume 2 is here! Good advice. I think the same can be said for a lot of industries.